What springs to mind when you think about the word “vinyl?” Well, if you are anything like us, you will be harking back to the records of your childhood, or if you are a little bit younger, to the turntables you are your friends used to mix on to create some sample magic. However, we are sorry to say that people grow, things change, and though many of us have an inner rocker that is dying to come out again, we have had to earn a living and raise families. Therefore, we have traded the retro disc for something called vinyl fencing. Please have a read through this service page to understand more about it. Well, due to the fact that there aren’t any vinyl trees growing anywhere, not that we are aware of anyway, we have to admit that the vinyl fencing that we use is, of course, man made. This is the same for the whole wide world. Essentially, it is descriptive of synthetic fencing. A plastic fence or a PVC fence is what we are talking about here - but we use different types of plastic and that is why it is called vinyl. Polypropylene, nylon and a multitude of recycled plastics appear on the roll call here. Also, we are often dealing with more than one composite material for increased strength, structure and stability. So - it really depends. Whether we use a particular plastic or a nylon composite entirely depends on the budget that you have and the kind of functions that you are expecting your fence to perform. 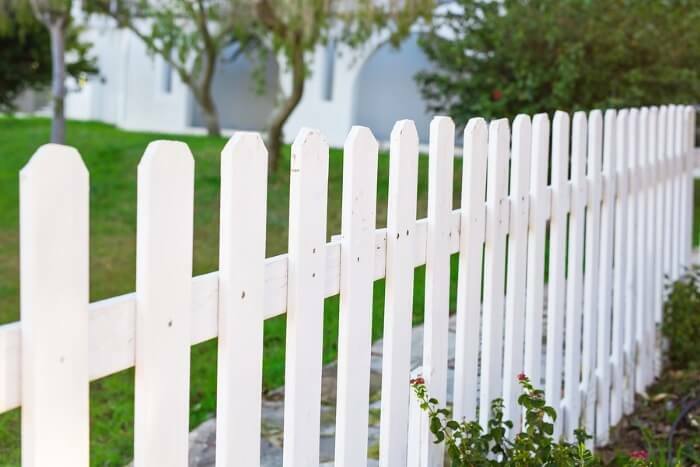 The one constant is that this kind of fencing tends to be relatively cheap and easy to install, making it a better option than some others for a lot of people out there. If you want to know more or if you would like more information about the various different kinds of vinyl that we are putting to good use then get in touch. All of our contact details can be found on the website right here. You won’t regret getting in touch at all. We promise! One of the main benefits of this kind of fencing is the style options that are available to you. It may sound obvious but because we are working with synthetic material here, there are many different ways it can be made. Therefore, when you are thinking about what you want, you can choose a standard plastic look or you can venture into other areas as well, considering something like a wood finish for example, or a particular color that works well with the rest of your home or building. The options are endless and we look forward to talking with you. Whatever it is that you need, we very much look forward to hearing from you. With our tools and expertise, we are ready to help and we always will be. Together, we will achieve the right result.